This 1.5 hour or 2 hour party invites your friends to a dance class (approximate 45-60 minutes in length), followed by a party room with tables and chairs for your food/cake/etc. and an area to open your presents. Families can decorate the party room to accomodate the party theme and supply the food/cake/etc.. The dance class can involve your party theme; dance styles include ballet, hip hop, creative movement. Party Theme Ideas: Mermaid, Princess, Pirate, Hip Hop, Ballerina, etc. Age Recommendation: This party is designed for boys and girls ages 2+. Wear: It is recommended that you wear dance wear, dance shoes or bare feet, comfortable clothing or clothing that matches the theme of the party. Example, a Princess Party, children could wear princess gowns. Agenda: The dance portion always takes place first, followed by food and presents. Dance Section Only: If you would just like to have a special dance class, we can accomodate your party needs. Children can participate in a fun dance class with their party friends. Length of time is flexible. $50/half hour. 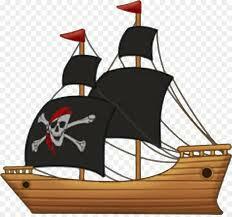 ​This 70 minute Pirate Treasure Hunt is great for children 5 - 12. They will guess clues given by the Pirate Maiden Host as they seek pirate booty while learning about the history of Charlotte Amalie, St. Thomas, USVI. ​Age Recommendation: This party is designed for boys and girls ages 5-12. Children under 5 are welcome, but we will be hiking the hills of St. Thomas. Parents must accompany all minors. Wear: It is recommended that you wear your Pirate Costume/gear and comfortable walking shoes. We cover 1.5 miles of hills and stairs. Strollers: We are hiking the hills, swabbing the poop deck and climbing the famous 99 Steps in search of pirate treasure, so it is not conducive for strollers, but you are still welcome to attempt to bring them. Water: Please bring water as it is always humid and hot in the Caribbean. Even the famous Blackbeard stayed hydrated by drinking a lot of... um, you know! Bathroom Stop: While on the Treasure Hunt, there is limited restroom facilities, just like the old pirate ships. We will do our best to help accommodate any bathroom emergency.